Microsoft will support each version of Windows only for a certain amount of time. For instance, Windows 7 will have “extended support” only until January 14, 2020, which is less than a year away. After this date, Microsoft will no longer support Windows 7. What does this mean for you if your business has Windows 7, and will you need managed IT services to make the change to a current version of Windows? When Microsoft concludes support for Windows 7, the company will stop issuing security updates for the operating system. 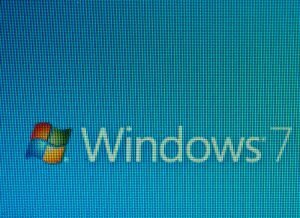 On January 14, 2020, even if users find gaping security holes that impact the performance of Windows 7, Microsoft will no longer address the issues. Your business will be on its own. Your options can include running antivirus software and other security tools to protect your network and client data; however, no antivirus is 100% perfect. You must also run software with the most current security updates. Antivirus software is only one layer of defense. Eventually, all security programs will end their support for Windows 7. How Has Microsoft Ended Support in Previous Windows Editions? Based on previous experience, Microsoft may continue to make security updates for Windows 7. However, smaller businesses don’t necessarily have access to them. Microsoft does this to encourage large companies to sign contracts for custom support during a transition time when they adopt the newest operating system. In fact, Microsoft will increase the price over time to eventually make it financially worthwhile to move to a newer OS. When Microsoft ends its support for one of its operating systems, it is a clear sign to other hardware and software companies to begin the move away from that OS. They will end their own support of that older version of Windows in their hardware and software too. This is another key reason to engage managed IT services. You need to update now, not later. History shows us that your business must prepare. Eventually, even third-party software will no longer support Windows 7. How long it takes for that support to end will depend on how many users and organizations still have Windows 7 installed and in use. New hardware components and other peripheral equipment will stop working with Windows 7 as well. They require hardware drivers. Manufacturers will not continue to create drivers for outdated operating systems. Intel CPU platforms no longer support Windows 7 and 8.1, even though Microsoft still offers support. Intel has moved on. Your Windows 7 operating system won’t “self-destruct in 30 seconds” on January 14, 2020. It won’t sizzle away in a puff of smoke. It will continue to operate. However, you will have no assurances of future compatibility or updates. Microsoft wants no surprises, so it advertises its decisions to end support well in advance. You will find all the dates of the Microsoft Windows Lifecycle Fact Sheet. If you have a version other than Windows 7, you can check it out to know how long your version will still receive security updates. What else does Support for Windows 7 impact? Windows 7 ended support non-security updates on January 13, 2015. Now, Windows 7 is in extended support, a period in which it receives only security updates. This is the factor that ends on January 14, 2020. Your managed IT services team should already have a strategic plan in place to upgrade before the deadline. Beyond the most obvious hardware and software issues you could encounter as a result of this change, you must also consider whether other core business solutions your business relies in will continue to function. Security vulnerabilities are top-of-mind for everyone these days so don’t be surprised if other software solutions stop working with Windows 7 come January 14th, 2020. Your security risks will increase with the use of unsupported Windows 7. The online world of hackers and cyber-criminals knows the exact date that support ends, and they are already prepared. This change could have far greater implications than just upgrading software, it may include replacing computers and other software. A substantial investment for your business could be lurking and you will certainly want to have time to plan for it. This is an issue for an expert evaluation by a managed IT services provider. Use the time between now and January 2020 to make a sensible transition.